Season 3 Schedule – Coming Soon! 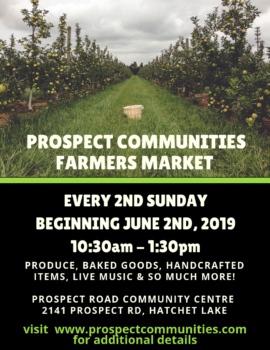 The Prospect Communities Farmers Market is an initiative of the Resource Opportunities Centre (ROC), a not for profit organization, & run out of the HRM facility we operate, the Prospect Road Community Centre. 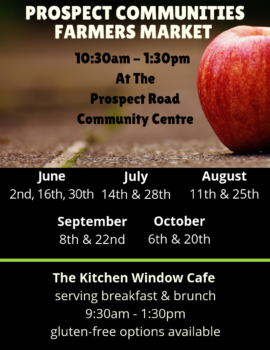 Our farmer’s market is a biweekly market, that is offered on Sunday’s in partnership with the Spryfield & District Community Market, who operates a market in our neighbouring community on the alternate weekends.